“In the process of building Beakerhead, we have come face to face with the powerful chemistry of new combinations — a new creative endeavour that is equal parts art and science. 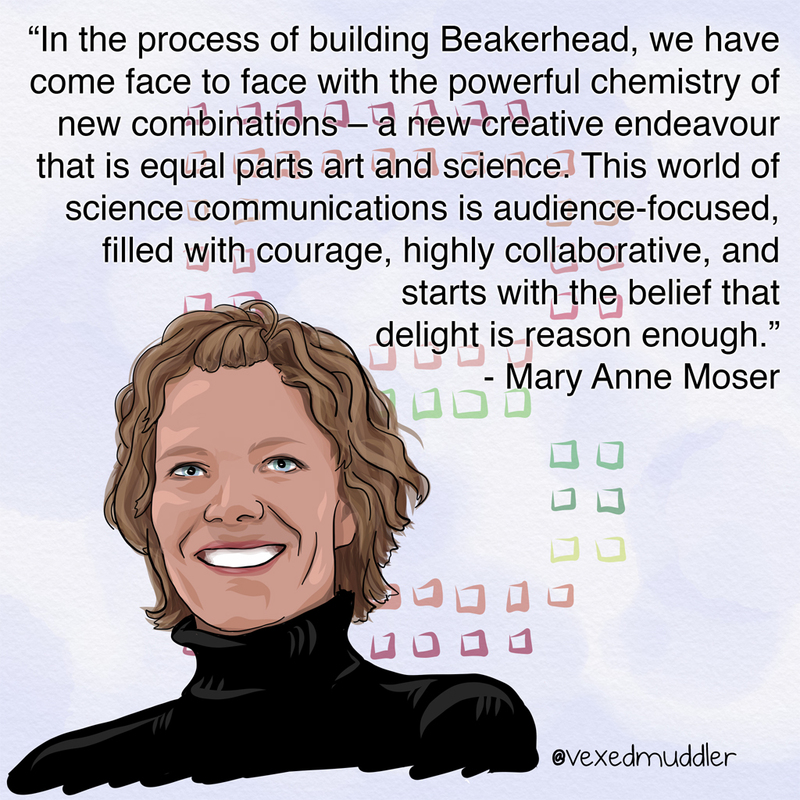 This world of science communications is audience-focused, filled with courage, highly collaborative, and starts with the belief that delight is reason enough.” – Mary Anne Moser, President & Co-founder of Beakerhead. Originally posted on September 15, 2016.